Elon Musk, credited with building Tesla into one of America’s most valuable car companies, has been fined $20 million by the Securities and Exchange Commission (SEC) of the US. Additionally, he has to step aside as chairman for three years. Not only Musk, but the company has also been fined $20 million. The crime: an irresponsible tweet from Musk, just last month. Musk had boasted on 7 August 2018 on Twitter that he had secured funding for a buyout of his electric car company. The immediate effect was a surge in Tesla shares. The tweet promised to turn the public company into a private one. Musk entered into the settlement with SEC involving such a hefty fine just two days after being sued by it for misleading investors. The message from SEC is clear. When companies and corporate insiders make statements, they must act responsibly including endeavouring to ensure the statements are not false or misleading. In mera mahaan Bharat,, such a tweet would not have even raised an eyebrow. Here fraudsters enjoy a life time duping investors and banks of billions of rupees and when the going gets tough, simply walk away. Some do not feel the need to do even this. Yet, life goes on as usual for them. Remember Satyam, the largest accounting fraud till date in the history of corporate India. Two US regulators, including the SEC, the Serious frauds Investigation office (SFIO), Central Bureau of Investigation (CBI) and the special CBI court, found the Satyam management and two auditors of PricewaterhouseCoopers (PwC) guilty of falsification of accounts in 2009. Even nine years later, the Satyam management and PwC auditors are out on bail. No one feels the need to challenge it. Auditors are now getting smarter. They just dump the audit when the going gets tough. To hell with their fiduciary duties. In the past three months since my earlier article highlighting how it could be fatal for public interest, the number of auditors resignations has climbed from 37 to close to 200. The resigning auditors include the big boys: Deloitte in case of Nirav Modi’s outfits to PwC in the case of Vakrangee where the ministry of corporate affairs (MCA) has ordered a probe. Taking a cue from the auditors, some directors are also adopting the same modus operandi. And what has MCA done so far? Precious little. Reportedly, it is now in the process of initiating review of audit standards, making the auditors more accountable and is planning a new form for more disclosures from the resigning directors. It is high time the Indian government takes lessons from the Musk episode. Cosmetic changes, scores of committees, endless paperwork but devoid of willingness to act against the rich and powerful are all meaningless. 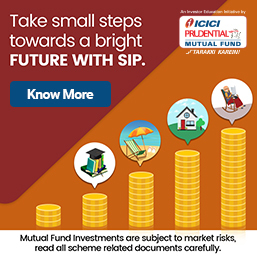 Only deterrent financial action makes sense, that too if taken swiftly. If the US can do this in such a high-profile case and for something as trivial as a tweet, why can’t India do the same in scams running into thousands of crores of rupees and where a mountain of evidence exists? How about Satyam, Vijay Mallya, Nirav Modi, Mehul Choksi, Religare for starters. Why is a Corruption-fighting Government Hastily Diluting the Provisions of Fraud Under Companies Act? Was the Minister given Incomplete Information Relating to PwC? Well, it is all relative. The fine is a not even a gentle slap on the wrist for both the company and Musk given their net worth(s). Also, he is agreeing to step down from the wrong job; Tesla needs a new CEO not a chairman. With Musk's visionary abilities, he would make a better chairman than CEO. The larger point about India of course is bang on. It is not just SEBI; show me one regulator that has the guts to deliver pain to the high and mighty that act with impunity. TRAI and IRDA are worse than SEBI. In India anybody can get away with any Damn thing with right contacts and money. This is demonstrated by never ending bank frauds, regular and perennial loot of banks and corporates. Governance Standards prescribed are only in paper and not to be practised even by mistakes is what is demonstrated with all sorts of wrong doings and liberal loots seen every where. Laws of the land are meant for common people to scare him and even not to dare to question the power that govern us. The government has reportedly cut short the second term of Nachiket Mor as member of the central board at Reserve Bank of India (RBI). He was re-nominated on RBI board in August last year. According to a report in Economic Times, Mr Mor, who was informed about the decision on 20 September 2018, would, however, remain on the eastern area local board of RBI. Quoting a source, the report says, "He had completed just a year of his four year term. He was brought for a second stint within four months of his stint because of his expertise in banking areas. But he used to speak in a manner that may not have be appreciated by the bureaucrats which could be a reason why his term was cut short." Mr Mor is also director of Bill and Melinda Gates Foundation in India. Did NSE Shift Suprabhat Lala from Market Ops to CKYC? The National Stock Exchange (NSE) has apparently transferred Suprabhat Lala, senior vice-president for regulatory and investor services cell to its central know-you-customer (CKYS) department. Lala was moved due to ongoing proceedings under SEBI (Prohibition of Fraudulent and Unfair Trade Practices Relating to Securities Market) Regulations, 2003. 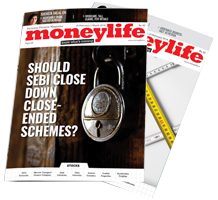 In addition NSE has entrusted ex-executive director, SEBI, Mr RK Nair to conduct an enquiry into the algo scam, first exposed by Moneylife in June 2015. Earlier this month, market regulator Securities and Exchange Board of India (SEBI) had asked five top officials from NSE, including Mr Lala to 'stay out of action', following the co-location or Algo trading scam. According to sources, Mr Lala has also been removed from compliance functions and will have no dealings with brokers. Mr Lala has, at various times, headed NSE’s vigilance, compliance, trading and customer relations. Our email sent to NSE remain unanswered till writing this story. We will update this story as and when we receive any reply from the Exchange. Is SEBI Burying the NSE Algo Scam; Failing To Go Deep? NSE Algo Scam: Is SEBI’s Shoddy Investigation Designed To Hide Its Own Incompetence?